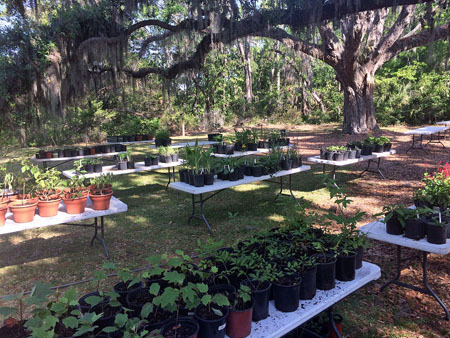 The Coastal Discovery Museum will host their annual Native Plant sale on April 13 from 10 a.m. until 1 p.m. The museum will have a variety of native plants to cover diverse landscaping needs, from vines to blooming bushes to butterfly friendly landscaping. You will learn from the experts what are the best native plants for your landscape. Native plants have the advantage of being adapted to the local environment and therefore require little or no care at all. Native plants are also used by local wildlife in a number of ways and are great to attract local pollinators. Museum volunteers and master gardeners will be on hand to explain the value of the different species available at the sale. Among those the museum will have are native Lowcountry butterfly host-plants which are used by native butterflies to lay their eggs and raise their larvae, and without which they cannot survive. This will be a great opportunity to enhance your garden with plants that require little care and provide great benefits to the environment. At this sale, we will only be able to accept cash or check. 70 Honey Horn Drive, (843) 689-6767 or coastaldiscovery.org.